The Planning, Development and Infrastructure Act 2016 has now been passed by both Houses of Parliament and assented to by the Governor - with numerous amendments adopted along the way. 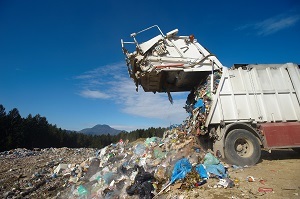 Get up to speed on what the changes in the Act might mean for you and how to place your council in the best position to facilitate the implementation of this new scheme with our Environment and Planning specialists. Price: $95 + GST per person. 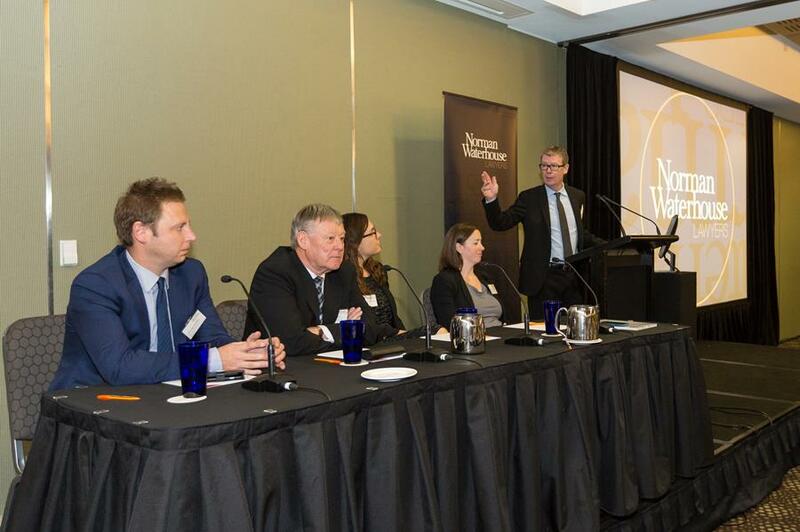 An initiative driven by LG Professionals SA in partnership with Norman Waterhouse, Imagineering is an exciting new workshop aimed at inspiring local government in connecting innovative creativity with successful business strategy. The event will be held at Crowne Plaza Adelaide and run from 9am until 2pm on Wednesday, 1 June. Guests speakers include 7 Effect’s Jodie Nevid, City of Onkaparinga CEO Mark Dowd, Norman Waterhouse Chairman of Partners Sean Keenihan and the Winner and Finalists of the 2016 Excellence in Local Economic Development Award. Another successful Walking The Talk employment conference has been and gone for 2016 and we would like to thank all who attended the event earlier this month. The full-day event showcased our industrial relations experts exploring a range of topics relevant to CEOs, human resource professionals and senior managers. As we look forward, your feedback greatly assists us to ensure the event continues to engage and address issues that are prevalent in today’s workplace. We look forward to welcoming you again in 2017. Panelists Lincoln Smith, John Ward, Belinda Richards and Amanda Green and Facilitator Michael Foley. 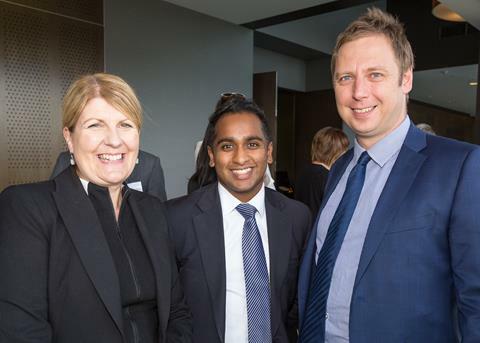 Nicola Anning, Ganesh Krishnan and Lincoln Smith. 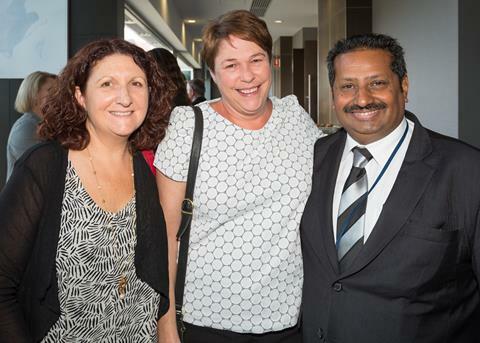 Anna Jordan, Lucy Mahon and Sathish Dasan. The LG Professionals hosted their annual 2016 Leadership Excellence Awards Gala Dinner on Friday 15th of April. We would like to congratulate all finalists and winners on their well-deserved achievements. 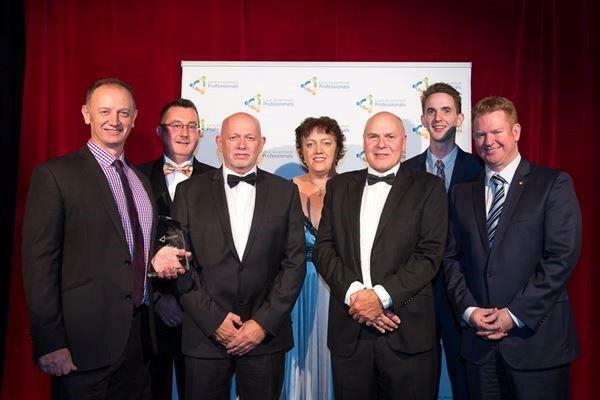 Norman Waterhouse is also proud to have assisted in some of the winning projects including the Coorong District Council’s Motorsport Park Development winning the award for Excellence in Local Economic Development, City of Salisbury’s Strategic Development Projects Team winning the Innovative Management Initiatives award and the Fleurieu Regional Aquatic Centre Team’s winning of the Community Partnerships and Collaboration award. Click here for the full list of winners from the night. 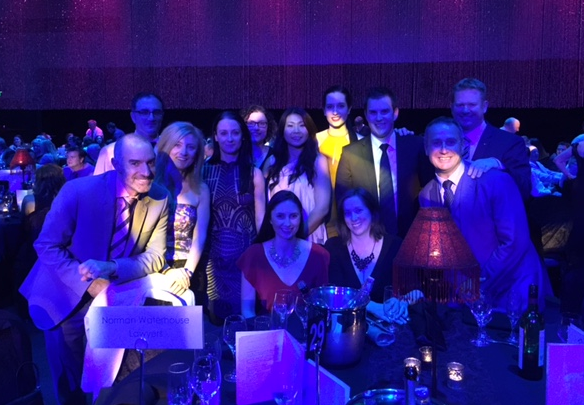 Gavin Leydon, Peter Psaltis, Felice D'Agostino, Janine Carroll, Yari McCall, Jacqui Plant, Virginia Liu, Jessica McNamara, Amanda Green, Dale Mazzachi, Paul Kelly and Sean Keenihan at the LG Professionals Gala Dinner. 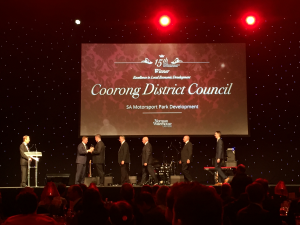 Winners of the Excellence in Local Economic Development, Coorong District Council. 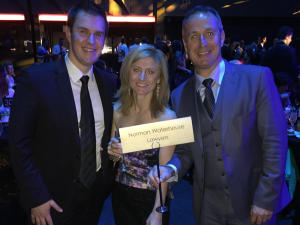 Dale Mazzachi, Felice D'Agostino and Paul Kelly at the LG Professionals Gala Dinner. 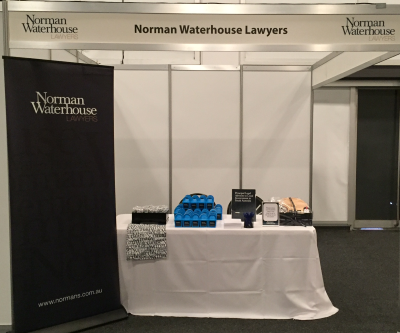 Normans proudly sponsored the 2016 Council Best Practice Showcase and LGA OGM earlier this month at the Adelaide Showgrounds. The event showcased a number of council projects and case studies which benefitted the local community. 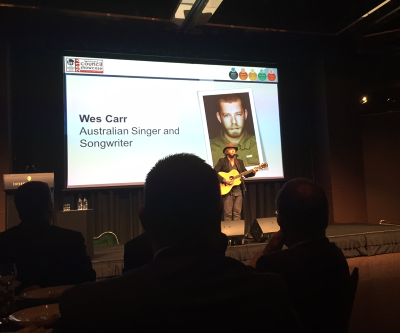 The showcase was followed by dinner in the evening at the Intercontinental with a number of awards presented and entertainment by Australian singer Wes Carr. The OGM took place the following day with a number of guest speakers including former Queensland premier Anna Bligh. Norman Waterhouse booth at the LGA Showcase and OGM. Wes Carr performing at the LGA Dinner. the Amendment Act also marks the demise of the Local Government Act 1934. 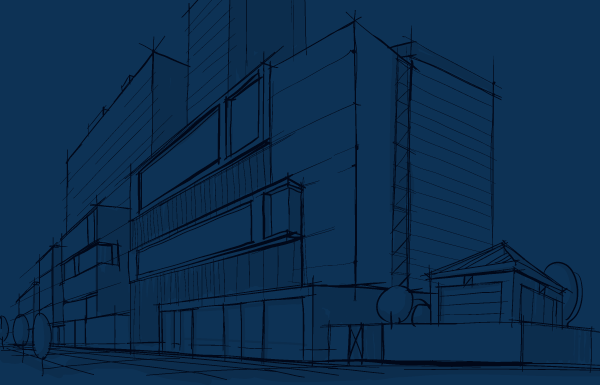 As planning authorities, councils usually impose conditions when issuing consents, which place limitations on the act or activity approved by the consent. 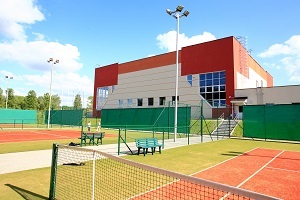 A recent case decided by the Environment, Resources and Development Court (Court) provides a useful reminder about the precision required when Councils are preparing consents and the conditions attached, to ensure that they are valid and enforceable if they are to be relied upon in future enforcement action. The Construction Industry Training Fund (CITF) auditors are on the beat and coming to a council near you! 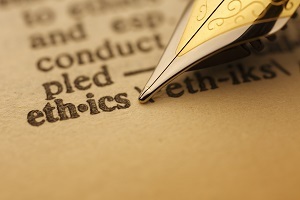 A number of our council clients have been approached by CITF auditors. It also seems the CITF Board is placing a much greater emphasis on auditing and compliance, possibly as a response to funding shortfalls in light of a downturn in construction activity in South Australia. 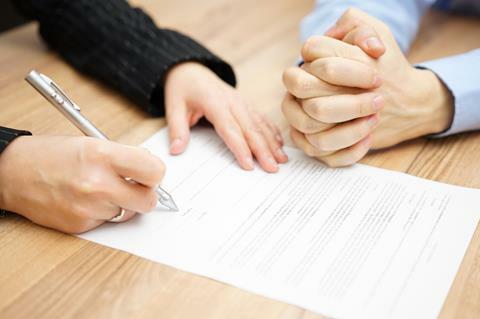 The first determination of the South Australian Employment Tribunal (SAET) in respect of an application under Section 18 of the Return to Work Act 2014 (RTW Act) has been handed down. 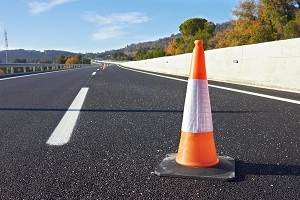 In the case of Walmsley v Crown Equipment Pty Ltd  SAET 4, the employer had provided the worker with a collation of duties taken from other positions while awaiting his recovery. the view that the worker could never return to his pre-injury role, the worker was dismissed. Planning, Development & Infrastructure Act 2016 – Has infrastructure delivery finally come of age? The Planning, Development and Infrastructure Act 2016 (Act) received Royal Assent last week, after intense debate in Parliament, and substantial amendments by both Houses. As noted in our Alert, it will be a while before the Act actually replaces the Development Act 1993. 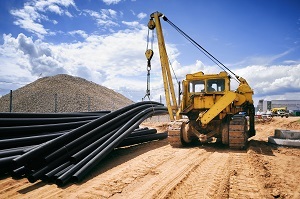 Part 13 of the Act (Infrastructure Frameworks) provides long-awaited, legislative support for infrastructure delivery in South Australia. Outside of this Part, councils have limited ability to require developers to contribute to such delivery.